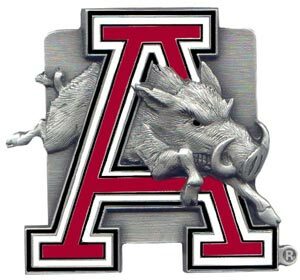 An Opinion On Sports: Arkansas Razorbacks: 100% Hog! KAKS, a northwest Arkansas radio station, calls itself Hog Sports radio. They are definitely all Razorback, definitely "all in" for the Hawgs. To illustrate this fully, they fired a broadcaster who wore a Florida Gator cap to a Arkansas Razorback new conference. Renee Gork, a Florida graduate, inexplicably had a brain lapse and wore her Alma mater's colors deep into the heart of "Woo pig sooie" country. Not smart, not tolerated, Gator gone.